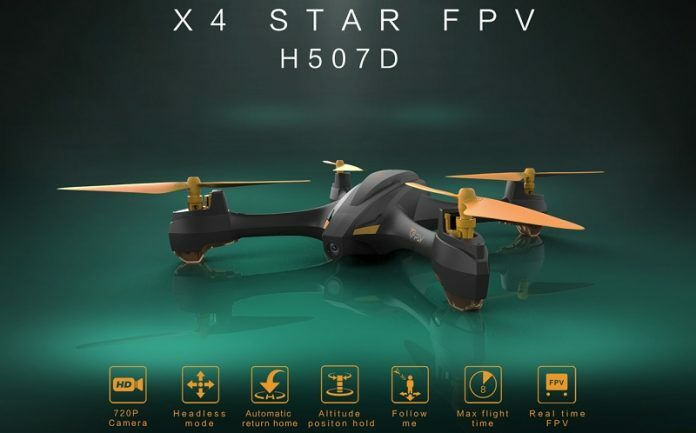 Hubsan, a reputable drone brand, recently announced a new affordable GPS drone called H507D X4 STAR. 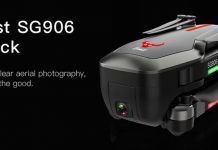 Besides the cool black&orange design, it comes with integrated HD camera which offers 5.8G real-time image transmission (FPV). Hubsan H507D X4 STAR features both manual and auto return to home. In case of signal loss (out of transmitter range), the drone will autonomously return to the take off point. According to the manufacturer‘s specs, the 550 mAh LiPo battery allows up to 8 minutes flight time. Frankly, it is not the time in its marked segment. As you can see in the image bellow, Hubsan includes with the H507D STAR X4 drone a nice transmitter with integrated 4.3″ FPV screen. The RC has built-in GPS module which allows precise Follow me feature (the drone can autonomously follow the RC).